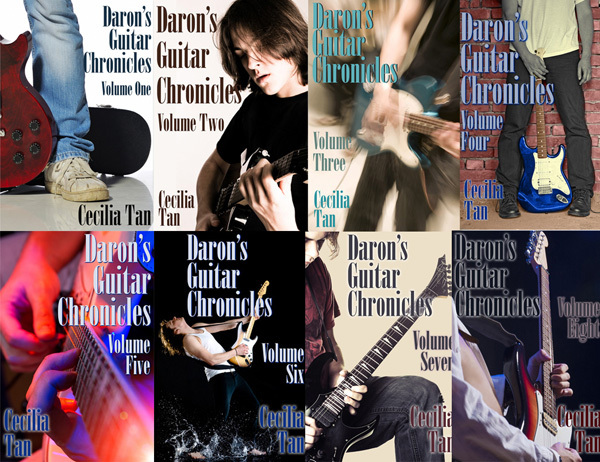 Thank you to everyone taking part in the Daron’s Guitar Chronicles: Volume Eight cover reveal! (Looking at you Gay Book Reviews and Reading Past My Bedtime!) 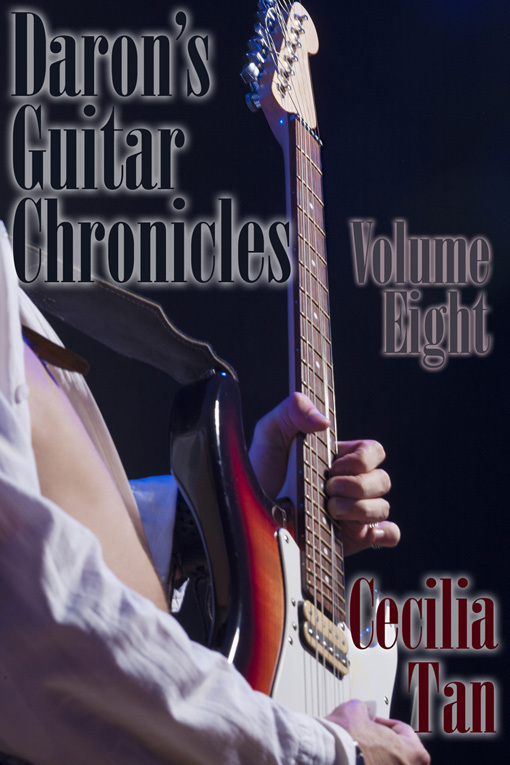 This is volume eight of the ongoing web serial, which is collected into ebooks as each arc of character development is completed. Volume 8 runs 78,000 words and is available for pre-order right now! Pre-order price is $2.99. Book 8 goes live on November 10th and then the price will jump to the regular $5.99! More info (& the cover art…) below the cut! Volume 8 finds Daron trying hard to stay true to his heart. Life can be tough when you’re a talented musician whose life is controlled by gigantic mega-corporations. Daron is trying hard not to think about that, though, when he invites Ziggy to spend Christmas with Daron’s chosen family: his mentor Remo and the guys from the band Nomad. 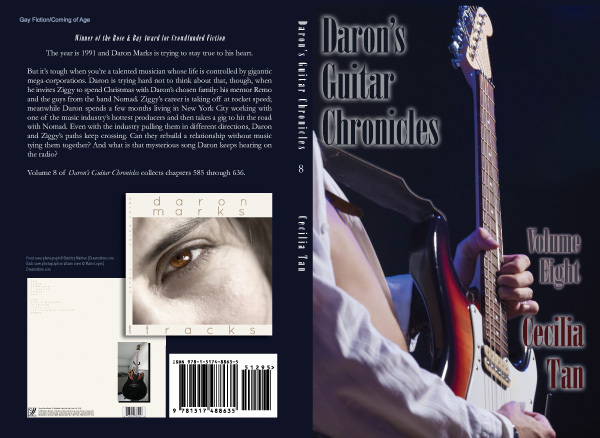 Ziggy’s career is taking off at rocket speed; meanwhile Daron spends a few months living in New York City working with one of the music industry’s hottest producers and then takes a gig to hit the road with Remo and his band Nomad. Even with the industry pulling them in different directions, Daron and Ziggy’s paths keep crossing. Can they rebuild a relationship without music tying them together? And what is that mysterious song Daron keeps hearing on the radio? And now the cover! It’s of course a challenge finding cover models with any resemblance to our main characters, so here’s another with no face, but this time I thought it was appropriate to show some skin, eh?